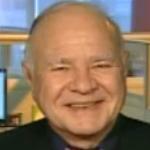 Marc Faber : "That could bring a new high of 1,700 on the S&P. I wouldn't bet on it," he said. "If someone put a gun on my head and said 'you have to be long or short,' I would take the short side."